On April 11, scientists returned from a 36-day mapping expedition to Papahānaumokuākea Marine National Monument (PMNM) in the remote Northwestern Hawaiian Islands. PMNM is the largest protected area in the United States, encompassing an area greater than all its national parks combined, yet over half its seafloor has never been mapped in detail due to the limited availability of the advanced sonar systems required. The team mapped over 40,000 square kilometers (15,445 square miles) – an area four times the size of the Big Island – of previously unmapped or poorly mapped areas inside the Monument. This represents approximately 11 percent of the total area of PMNM, and includes 18 seamounts and extensive banks off Pearl and Hermes, Midway and Kure atolls. “The goal of the expedition was to fill large gaps in seafloor data in order to facilitate future research and discoveries in the region,” said Christopher Kelley, program biologist with UH Mānoa's Hawaiʻi Undersea Research Laboratory and chief scientist of the expedition. 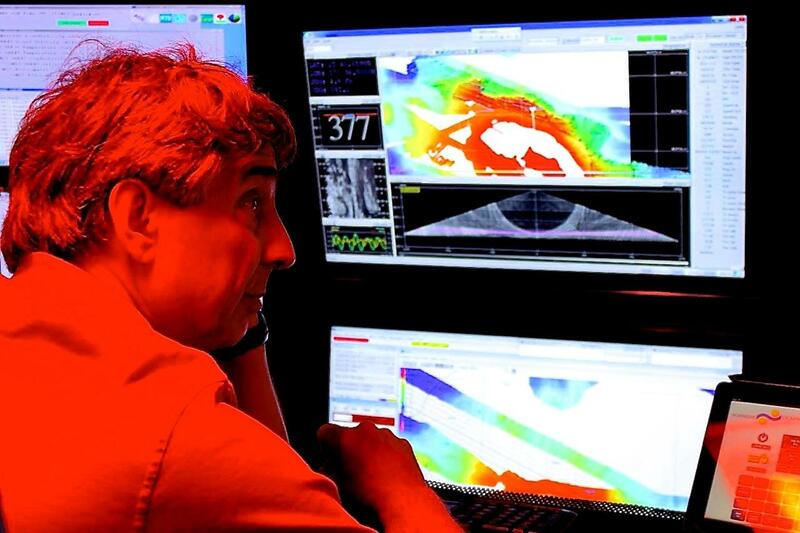 Carried out aboard the Schmidt Ocean Institute’s (SOI) 272-foot R/V Falkor, the expedition utilized the ship’s state-of-the-art seafloor mapping sonar systems, among the most advanced mapping technology in the world. Approximately 98 percent of the Monument’s area is deeper than 100 meters (328 feet), where features including seamounts, ridges and submerged banks are home to rare and likely undiscovered species of corals, fish and other animals. Mapping is key to finding these. Another objective of this mapping effort is to identify likely sites of deep-sea coral and sponge beds. In 2003, scientists discovered the existence of these beds within PMNM in more than 1,000 meters (approximately 3,280 feet) of water. Previous exploration of the few known beds led to the discovery of more than 50 new species of sponges and corals, according to Kelley. It is expected that more discoveries will be made as a result of the information gleaned from this trip. The region’s geology was another key focus of the expedition. Ancient coral reefs that drowned as the earliest Hawaiian Islands subsided now hold a detailed record of that process spanning millions of years. Mapping can offer a big picture view of how various features are organized, which will help researchers better understand Hawaii’s geological history. The team consisted of researchers from the University of Hawaiʻi at Mānoa, NOAA’s Pacific Islands Fisheries Science Center, PMNM-NOAA’s Office of National Marine Sanctuaries, Schmidt Ocean Institute, the University of Sydney and the University of British Columbia. This was the first of two expeditions slated for the spring of 2014; the second will take place from May 2 to June 6.